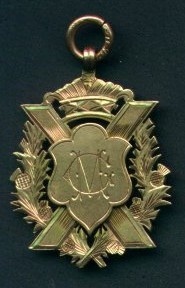 January 2003. 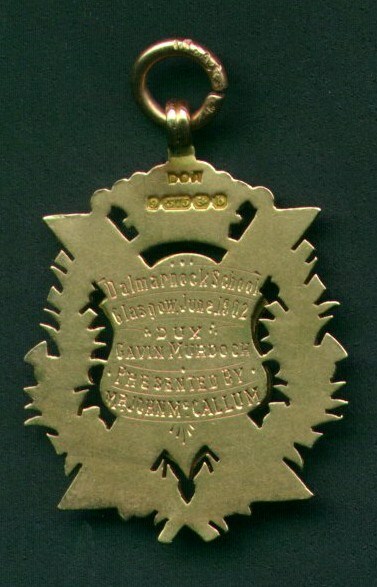 This photograph was sent to me by Gavin C.W.Murdoch, the grandson of Dalmarnock School's Dux medalist in 1902, Gavin Murdoch. 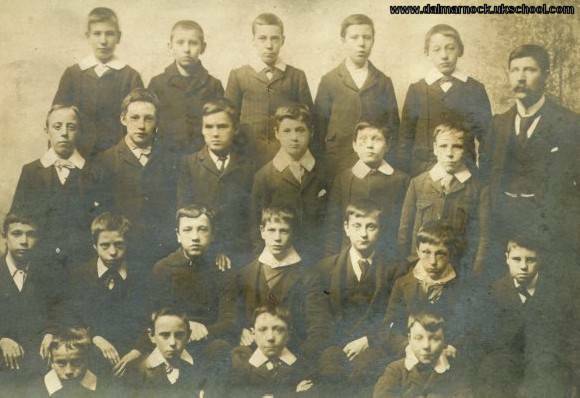 Gavin would have been 11 / 12 years old in 1902 when he won the Dux medal, therefore assuming these children to be approx five years old, that would date this class photograph to be 1895, the year the Dalmarnock Dux Board starts from. How wonderful getting a photograph so old. 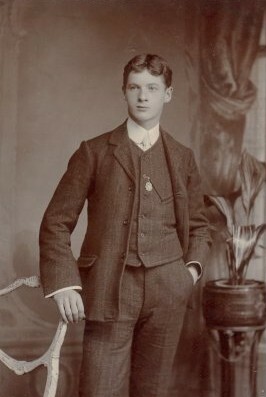 We reckon this picture was taken sometime in 1900 - 1902. A few glum faces in this class ! 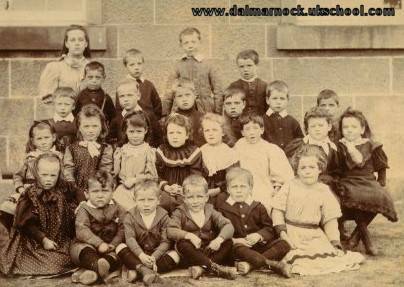 Wonderful pictures that were unearthed because Gavin's grandson had commissioned a family history from a genealogy company in Edinburgh, Scotgenes, who contacted the school through our website. It soon became apparent that we could help each other and Gavin now has a lifetime entry with these wonderful photographs in our website. The grandson hopes to retrace his grandfather's steps and visit our school in 2007, which is the fiftieth anniversary of Gavin's 1957 visit.